That was a very anti-climatic end for Bluebeard. 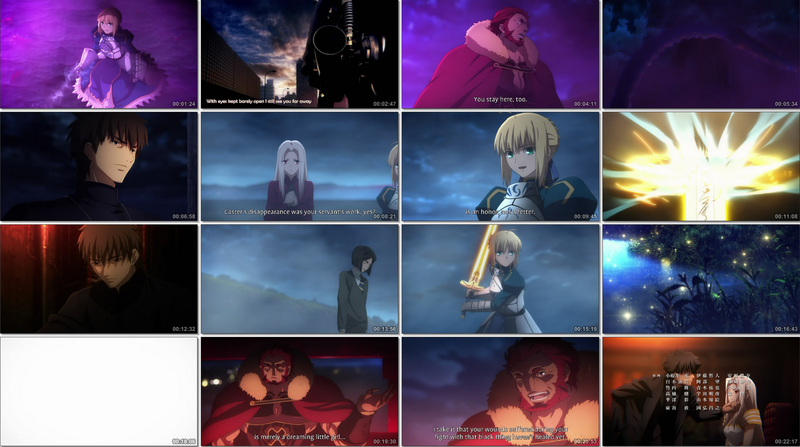 We all knew from last episode that Saber would be the one to finish it up, it just felt too "easy". They built up the fight for so long that it all felt wrong. I mean, it was the climax from last season, it should have been a bigger bang. 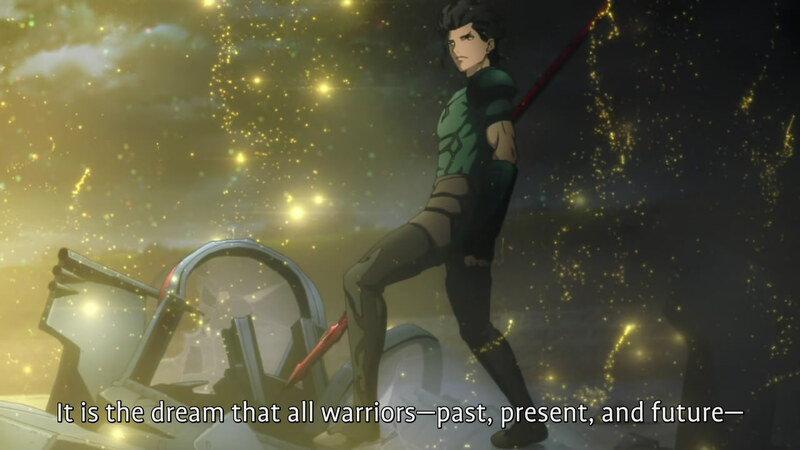 Up next to die is lancer now that he handicapped himself, like master like servant. 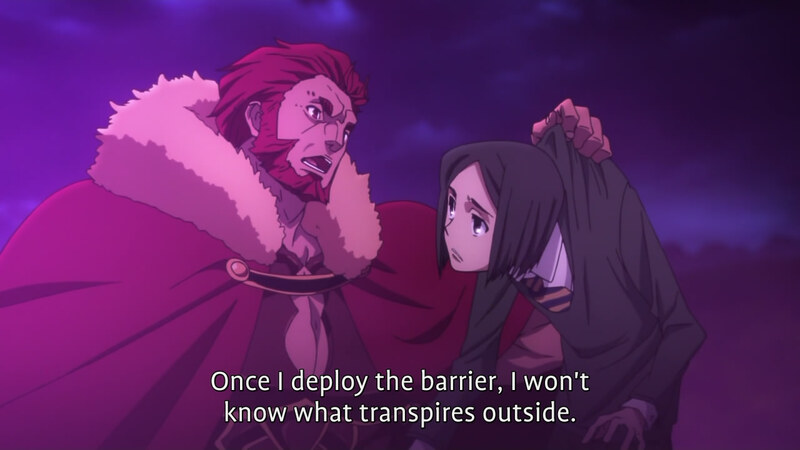 They should have all went into Rider's reality marble. Together on land, I am sure Lancer's anti magic and zero regeneration is perfect for killing a creature like that. Still, with Lancer breaking his spear, he lost half his fighting power now. 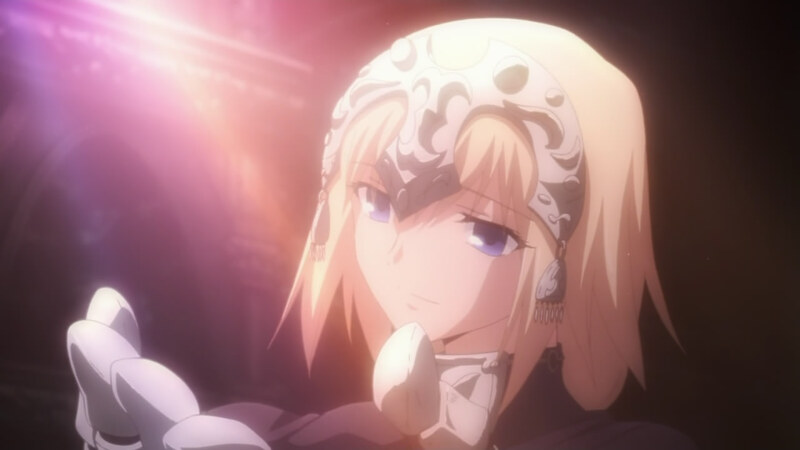 He can't possibly have a chance against Saber now that she is full recovered, I still feel bad for him. His life is just full of suffering. Then you have the Beserker vs Archer battle on the side. Watching Kariya throw his bugs at him, what a wasted effort. At least Beserker won his air battle, no more random flying ship for Gilgamesh. 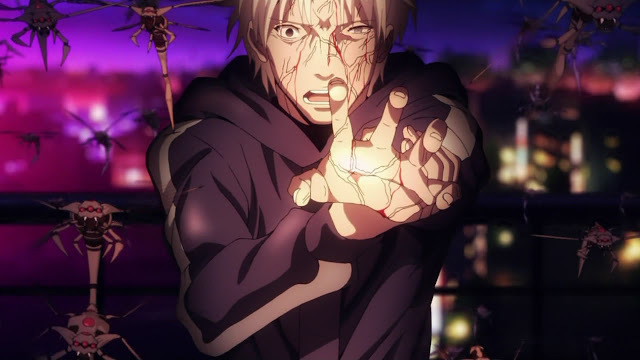 Still Tokiomi seems like way too powerful a magus, he deserves to win the holy grail war compared to that other guy relying on sniper rifle to take out his competition. The grail war is designed to reward the strongest, and he is undoubtedly the strongest. Even if his death was pretty anti-climatic, this scene was just beautiful. To finally have him meet his Joanne de Arc is nice. 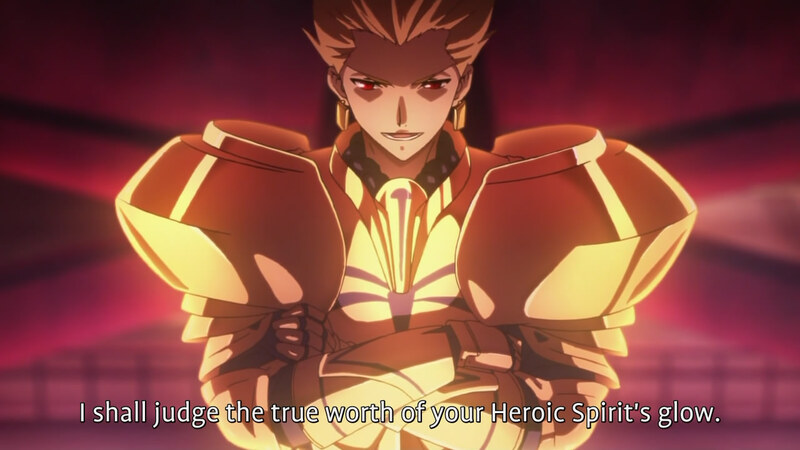 That insane blast from Saber could kill anyone though, why would it matter if it was a fortress or not? On that note, why did Caster have to spawned at a specific location? To not do damage to the city? That is only answer I can come up with.